Menulog delivers for Indian Home Diner - Summer Hill so you'll be able to track your courier on a map. 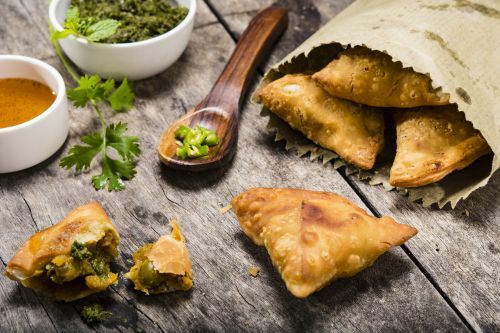 Light pastry pocket filled with a mixture of delicately spiced vegetables. Mixed vegetables with Indian herbs and spices. Mashed potatoes, green peas, fresh coriander, herbs and spices. Boneless fillets of chicken marinated in herbs, spices and yoghurt cooked in the tandoor. Tandoori breads wrapped in tandoori chicken tikka, spice, mashed potatoes with butter chicken sauce and mint sauce. Spinach and potatoes cooked in medium spices. Marinated boneless chicken fillets, cooked in tandoor and mixed with creamy tomato sauce. Tandoori chicken pieces cooked with spinach in a blend of medium spices. Lamb curry cooked traditional kashmiri style with tomato and medium hot aromatic spicy flavoured sauce. Chilli pickle and mixed pickle. Naan stuffed with fresh mixed vegetables.